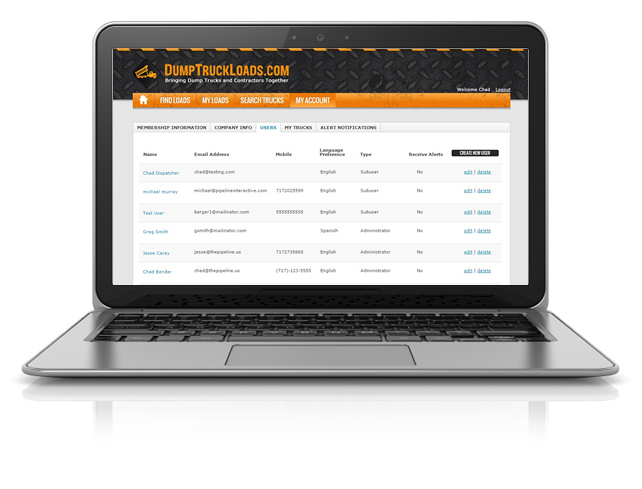 Find backhauls for your trucks. See what contractors are working. SEARCH ALL LOADS. WHENEVER. WHEREVER. As a savvy business owner, you know the importance of keeping your trucks loaded. Our easy-to-use system lets you search for loads the moment they're listed to keep your trucks filled. And since we're dedicated to Dump Trucks there's no need to weed through results of other types of trucks. Best of all, membership is free! Find load postings as soon as they become available from contractors. Just check out the jobs in your area, respond and you'll be on your way to getting more loads. There's no reason to return home empty now! Our system gives YOU the control. Search for available loads by location. Increase your exposure to contractors looking for trucks. Add and manage your dispatchers and drivers. Lots of smaller and new contractors are looking to build relationships with independent truck owners. DumpTruckLoads will help you get in front of those contractors so you can expand your job opportunities. Plus you'll have the opportunity to be listed as a preferred trucker to help you win loads. 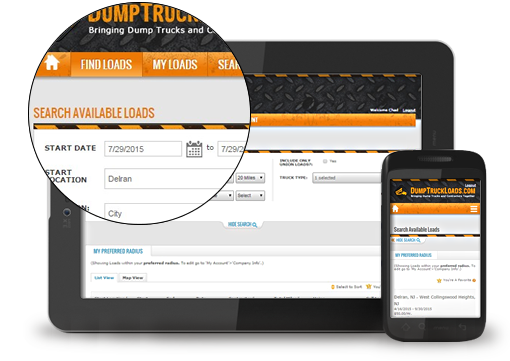 Sign up today to access the only dump truck network in the world at no cost! You have nothing to lose other than those empty loads that take money out of your pocket. We'll help you turn those empty loads into cash!